9 customers were able to try this promotional product before it sold out at 4:40 PM on January 10. The regular, guaranteed lowest price on 100 of these pens would be $184 with set-up! 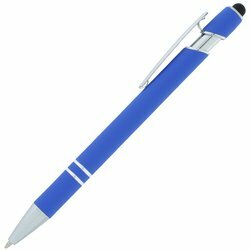 Overcome the incline and get your brand noticed with logoed pens! Add these stylish, click-action pens to your office or boardroom. 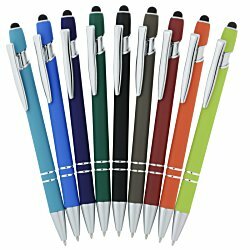 Pens are constructed from aluminum with a colored, rubberized finish. 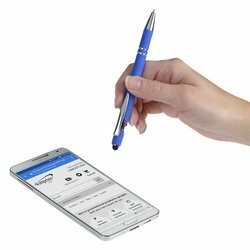 An integrated stylus tip can navigate through most touch-screen devices. Features a chrome clip, tip and accent rings for additional style. Pens write in medium-point, black ink. Your price includes a laser engraved imprint diagonal from clip.